well, the weekend was a good one, both for painting and life-wise, as I celebrated my first wedding anniversary as well as having completed assembling the first 1850 points of my CSMs. Thanks! 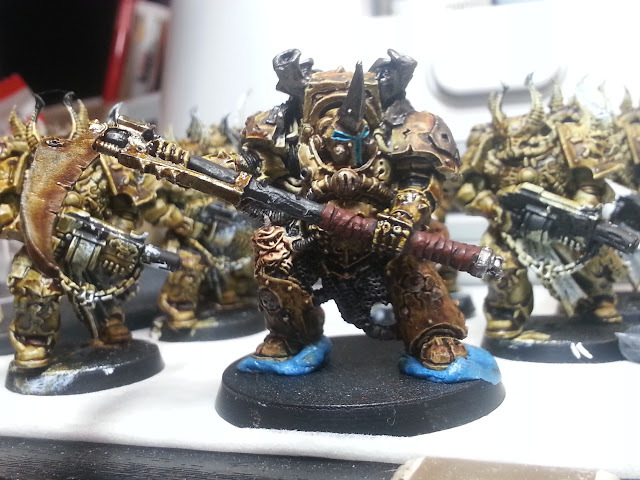 I went a little heavier on the sepia with Typhus but like the look better... im hoping to get him finished up tonight. 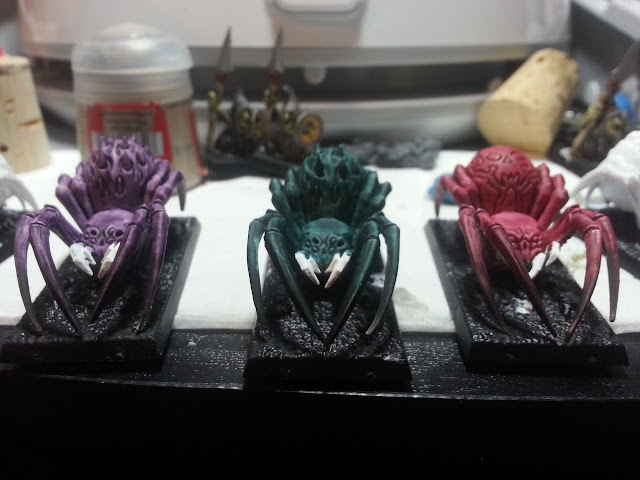 Well yesterday was a good day for painting, as I painted up a few Goblins and got some more primed, as well as primed some spiders and did a couple test models for them. I need to tie up my armies loose ends so I can take a nice looking group shot like this! 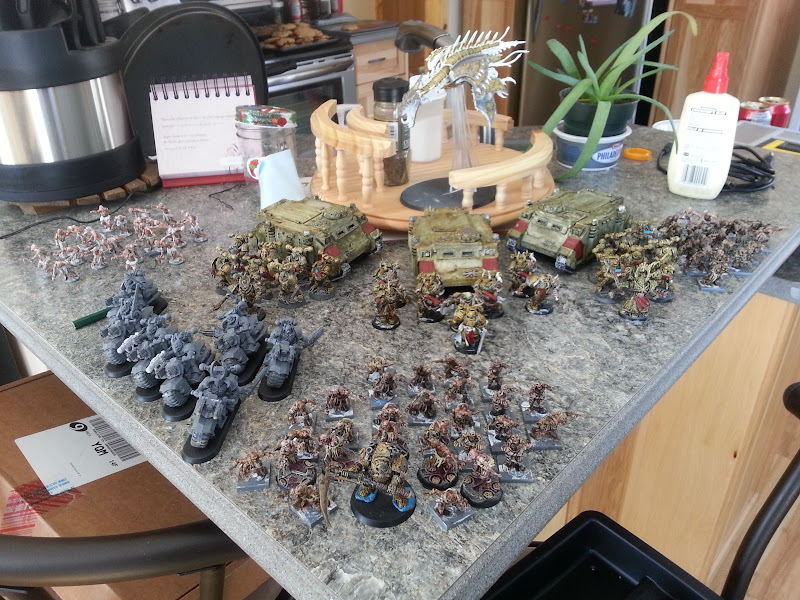 Actually, i cut out 14 zombies from my list... mainly because i couldn't find 5 and my fluff OCD was bothered that they wernt either 21 or 28... so i dropped 2 units to 21 and added havok launchers to the rhinos! im hoping to get some work on the bikes done after i finish this month's deathmatches... might even leave them for the next deathmatch, but i doubt i can wait that long! Cant wait to see an army pic from you dez, especially with your bike conversions, which are awesome! I love the Havoc Launcher, good stuff to cut points for! nothing like a twin-liked blast! 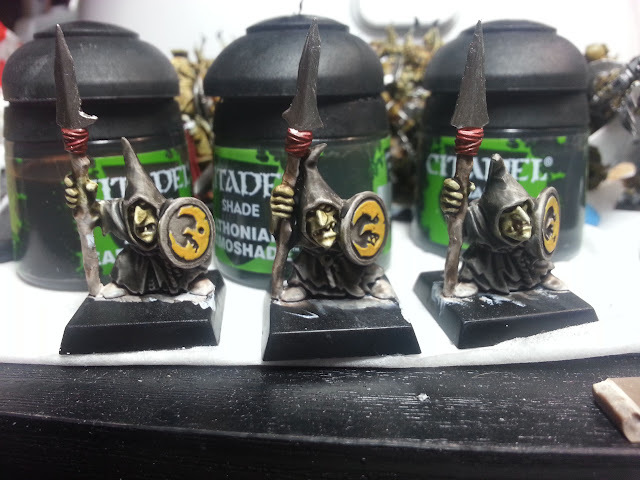 I like the goblins, they almost make me want to start a fantasy army. Nappen wrote: I like the goblins, they almost make me want to start a fantasy army. Right? I LOVE painting those Night Goblins! Of course I've probably cycled Orcs & Goblins out at least 4 times, just like Skaven. Build, Paint, Sell, Repeat. Same thing with Skaven. Fantasy is a great system, probably my favorite. It's a shame that I don't get to play it often, I recommend it. Maybe I will look into getting a rulebook-anyone have one?